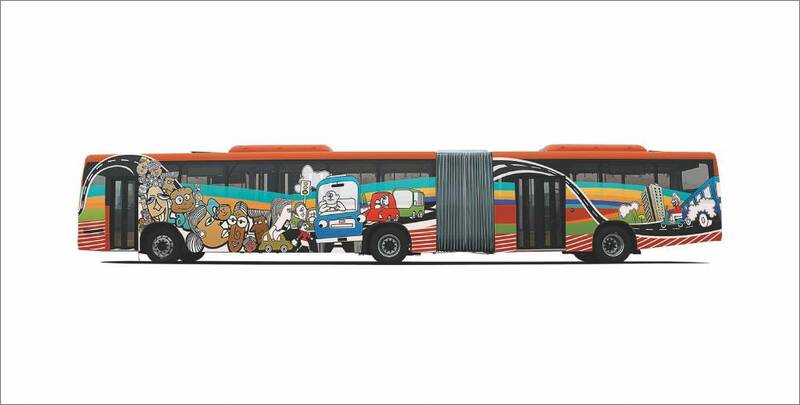 Tata Motors today showcased the country's first fuel cell bus in Pune. Based on the model unveiled at the 2012 Auto Expo, the fuel cell-powered Starbus will be a zero-emission mode of public transport for intra-city commutes. The company states that the battery-powered electric vehicles have their own limitations such as plug-in charging. In fuel cell-powered vehicles, hydrogen stored in a compressed form is made to combine with oxygen from air to generate electricity. This system only emits water vapour as the final byproduct. The company claims that the lack of external charging combined with the longer driving range makes fuel cells the best alternate to conventional electrics. In addition, the Starbus fuel cell bus comes equipped with idle-off system that shuts down the fuel cell once the motor is sensed to be idling. Tata Motors has signed a MoU with ISRO in 2006 for providing technology in producing, storing and handling gaseous and liquid hydrogen. The ISRO team capitalised their years of cryogenic expertise to use liquid hydrogen to power engines. The Tata Motors and ISRO engineering team designed and developed the Fuel Cell Power System (FCPS) for the bus starting from 20KW to 120KW. The Starbus fuel cell bus was first unveiled at the Liquid Propulsion Systems Centre at the ISRO facility in Mahendragiri, Tamil Nadu, in 2013. 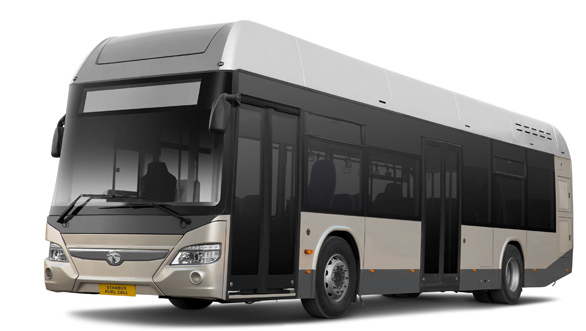 We did reach out to Tata Motors to find details on the launch date of the Starbus fuel cell along with the plant wherein the bus will be manufactured. However, we have been told the details of the both have still not be finalised. The other offerings that were showcased today include the Starbus electric, Starbus hybrid and Starbus LNG. The Starbus hybrid comes with new-generation Lithium-ion phosphate batteries (Prismatic Cell) that are charged by the BS-IV compliant diesel motor. 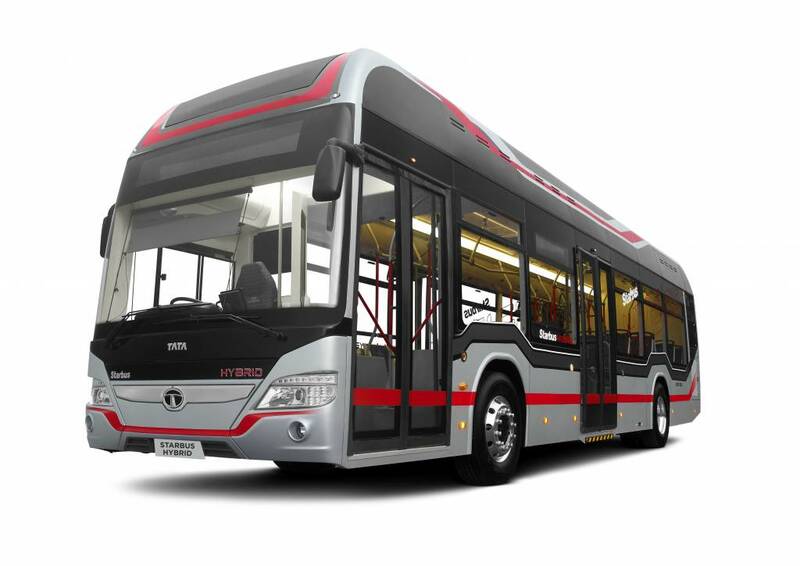 Tata Motors claims that the series hybrid technology offers lowest cost of ownership and considerably lower emissions compared to conventional buses. Furthermore, the hybrid bus can run on pure electric mode, for around 30-35 per cent of the total travel distance. The Starbus LNG's aim is to provide lower carbon emissions and better fuel economy with lower operating costs. The LNG buses will have a claimed range of more than 700km in one tankful. Lastly, the company displayed the 18m-long articulated bus that can carry more than 120 passengers. It offers simultaneous boarding and exit through more and larger doors. The wider doors provide more convenient access for differently abled passengers and the elderly.